“Shoot for the moon; even if you miss, you will land amongst the stars” is an adage depicting how important it is to follow your dreams, no matter what. 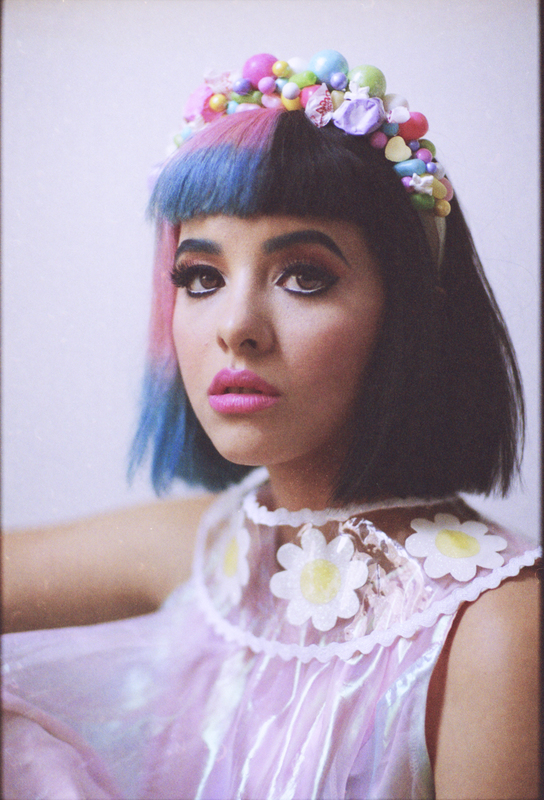 Bea Miller and Melanie Martinez embody that message quintessentially. In 2012, both were contestants on American singing competition shows. Neither won, yet they are two of the most successful artists to come from either of their respective shows. Miller, age 16, competed on the United States version of X Factor, finishing in ninth place. A notable performance of hers was her heartfelt rendition of “Titanium” by Sia and David Guetta. Martinez, age 20, competed on The Voice’s third season at age 17, finishing in the top 6. Her audition was a dark, mysterious take on “Toxic” by Britney Spears, during which she played the guitar—and the tambourine with her feet! From the beginning, both Miller and Martinez were very in tune with who they are and how they can connect with audiences on deep emotional levels. However, they have both grown tremendously since then. Despite their young ages, they have each cultivated unique, edgy sounds and are unafraid to authentically address difficult topics in their lyrics. Miller’s Young Blood EP features uplifting hit singles “Young Blood” and “Fire N Gold.” It also includes “Enemy Fire,” one of my favorite songs of hers, which describes how it feels to have trust issues, as well as to long for allies in this world. In her debut album, Not an Apology, Miller uses anti-bullying and self-empowerment songs such as “We’re Taking Over,” “Paper Doll,” and “I Dare You” to address the pressures young people may feel as they find themselves and their place in society. “We’re Taking Over” includes some empowering lyrics specifically for the LGBT community. “Rich Kids” confronts the issue of class, depicting how both underprivileged and privileged people in society judge each other in various ways. The take home message is that, yes, our experiences may vary, but we all struggle with something, as we are all human. Martinez’s album is also very authentic and honest, and thereby offers catharsis. The entire album uses metaphors of childhood experiences to address very adult topics. Themes that are universally relatable highlight how these experiences, while not often talked about, are very real parts of the human experience. Songs like “Carousel,” “Play Date,” “Soap,” and “Cake” are examples of how emotional uncertainty in romantic relationships can feel. “Teddy Bear” depicts how unexpectedly a seemingly good relationship can turn unhealthy, even abusive. Many of Martinez’s songs describe situations where what’s on the surface may not be reality, just like the innocent, childlike themes mask—and simultaneously amplify—the intensity and darkness of the lyrical content. “Dollhouse” is a perfect example of this, depicting a seemingly “perfect” family having a vast array of problems hidden under their charade. “Cry Baby” and “Pity Party” both highlight how it is okay, even good, to cry or openly express feelings. “Tag, You’re It” is my favorite track on the album. The song appears to be talking about child abduction; however, it could also mean stalking and sexual assault. “Mrs. Potato Head” very cleverly uses metaphor to caution society not to value superficiality over people’s true natures. “Mad Hatter,” with its Alice in Wonderland theme, celebrates those who are different; who express themselves authentically. Both artists are an inspiration. They encourage people to be true to themselves, and never gave up on themselves or their fans.